Listen to a new episode of Speak English Now Podcast, your favorite material for practicing your spoken and heard English. You will also learn about lifestyle and culture, language, vocabulary and how to improve your English more effectively. Hello, everybody! I am Georgiana your English teacher and founder of SpeakEnglishPodcast.com. My mission is to help you speak English fluently. Speaking English is easier than it seems! You just have to use the right material and techniques. In this episode, we’re going to do something we’ve never done before. Today I’ll introduce you to the tongue twisters. I’ll explain later what a tongue twister actually is, and how it can help you with your English. And with a mini-story, you will improve your fluency in English by answering questions, like in a real conversation. So what are tongue twisters? A tongue twister can be a phrase or sentence that is hard to say fast, usually because of a sequence of nearly similar sounds. What a mess! Right? I get that you feel intimidated but don’t worry. I’ll tell you how to use them in a bit. Tongue twisters are part of popular culture and have always been with us. This means that they are clearly useful in society. And although children find them entertaining, they are used by people who want to sound crystal clear when speaking, including actors, politicians, etc. 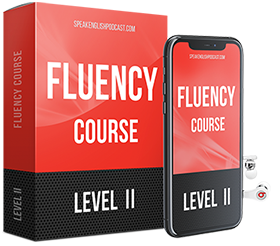 One of the most interesting aspects of tongue twisters is that it allows us to practice pronunciation and above all agility when it comes to producing sounds in the language. Okay. Now let’s see some tongue twisters. Get the FULL TEXT in PDF here.